Thank you for joining us for our Make It Girlie Challenge and we hope you will join in with our new theme! We are showcasing STAMPENDOUS PRODUCTS this week. You don’t have to use them to join in with the challenge, but if you have them we would love to see them used! 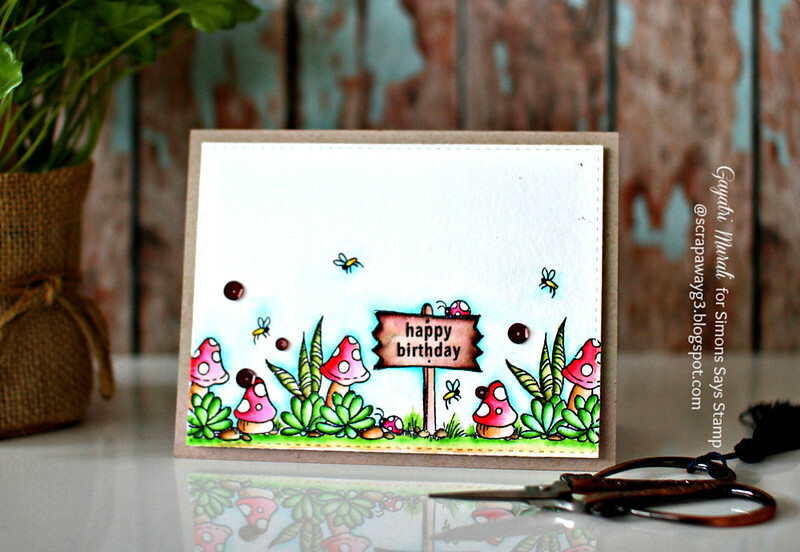 I used Stampendous Terrarium stamp set to make my card. I love this stamp set for its big mason jar and the smaller tank. Unfortunately I did not use both of the images. Instead I decided to use the smaller stamps in the set, heat emboss them and watercolour. I love colouring flora images and that is what I did. Here is my card. 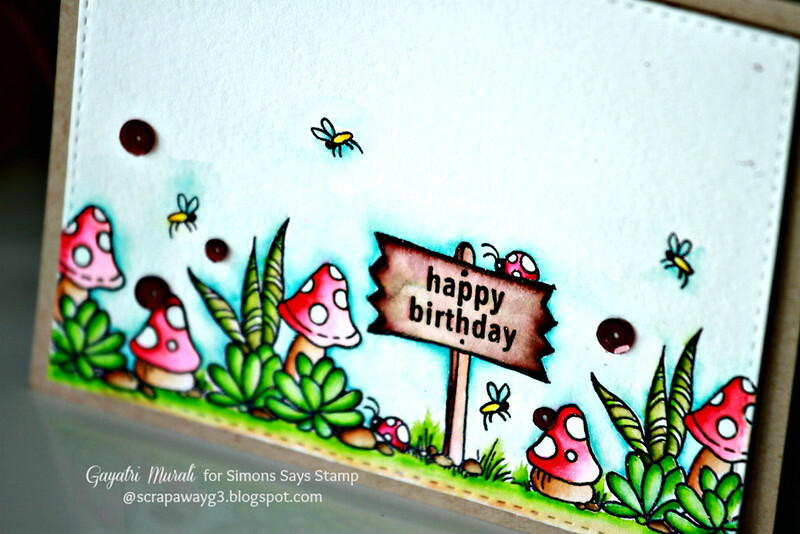 After colouring all the heat embossed images and background with Zig markers, I die cut the water colour panel using Simon Says Stamp stitched rectangle die. 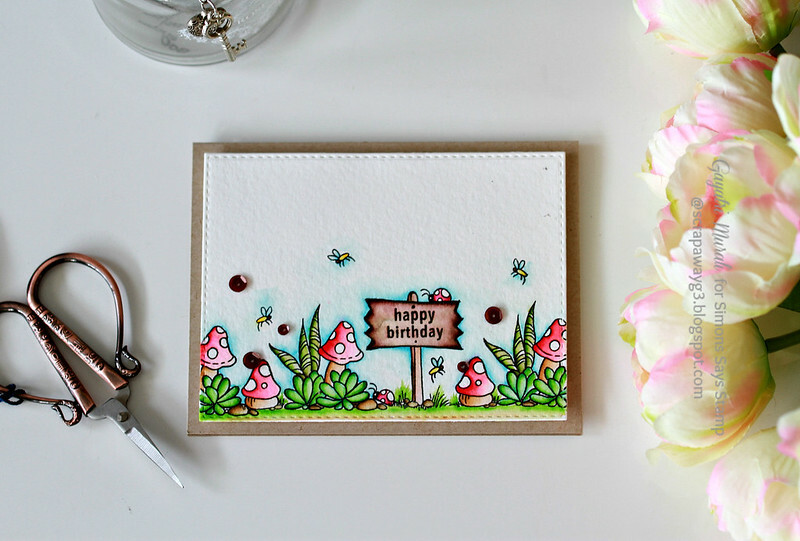 The sentiment is from Simon Says Stamp stamp set called Ice Cream Dream also heat embossed. I adhered this panel on to Kraft card base and embellished with Pretty Pink Posh Espresso 6mm and 4mm sequins. Here is a closeup of the watercoloured images. Fun card! I love the scene you created. What a cute scene, Gayatri! Love your card! A gorgeous card Gayatri, a gorgeous image with a beautifully coloured scene along with super details!! Love those blue shadows behind those cuties. This is just gorgeous, the colouring is delightful! Beautiful!! coloring!! your coloring skills are flawless!